Well guys I got a new one. 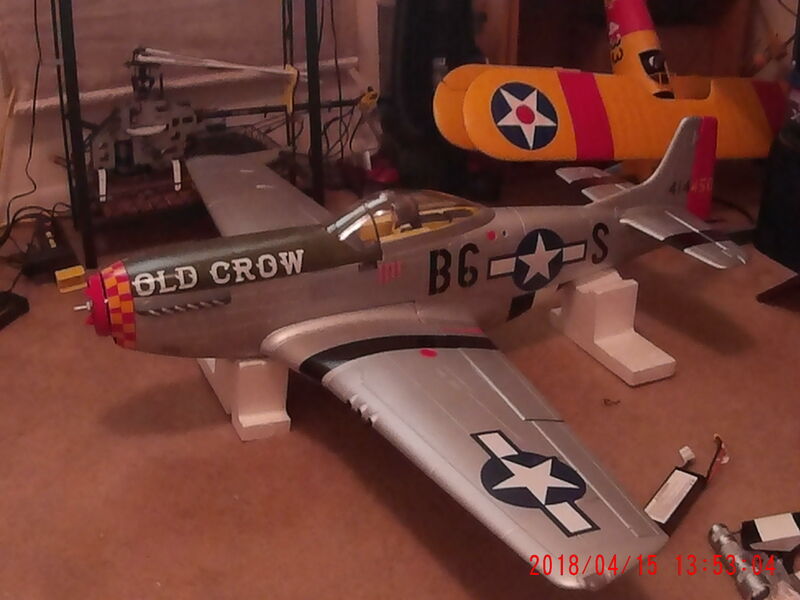 Freewing 55 inch P-51 Mustang. It has retracks, Flaps, lights and I am waiting on sound card that goes with it. Can't wait to fly it. will be taking video. That's sweet, nice looking airplane, can't wait to see the flight videos. Where'd that come from? That looks sweet! Didn't know you liked plankers but looking a the background, I guess I was wrong. I like it all. Airplanes are how I got started. I can't wait to fly it. I still have to balance prop and get the controls centered and do the COG and put in the sound card. This may be a stupid question Murry but what is the sound card for? 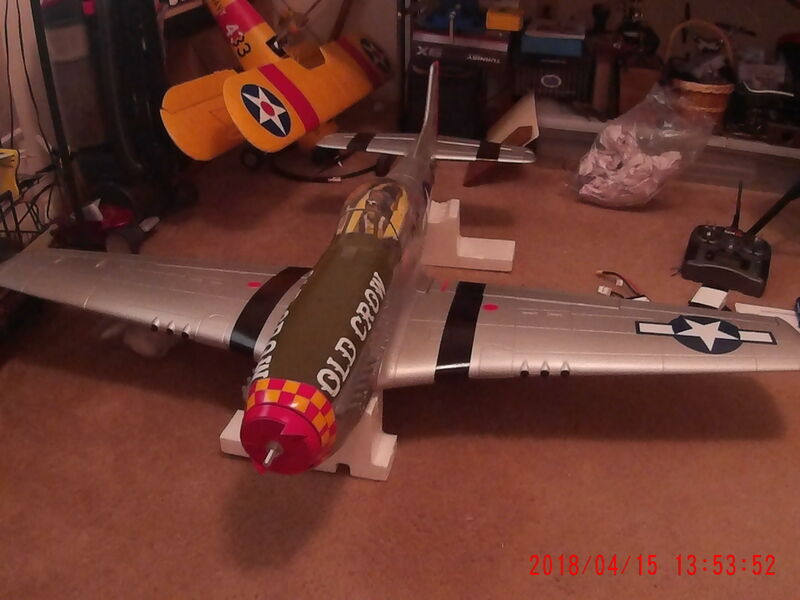 The sound card I am using makes it sound just like a real p-51, it is put out by Mr rcsound. you can go on youtube and hear one it's great. I have 2 problems now right aileron servo is bad and the rear retrack stopped working, waiting on parts now. RC the plane came from MotionRC. They have all finds of stuff and the prices seem to be pretty good. I chickened out though. I had enough trouble just trying to belly land the Bixler. Lord knows the Strega would've met disaster soon after launch. RC that was a nice looking plane. you should buy it. I bet you would have a ball. It's all about the Multi's..
Well I am still waiting on parts. When they come I will put them in. then I will have to set all the controls and balance it. I am just about to balance the 4 bladed prop and spinner. I did it once but didn't like the way I did it so I am going to redo it. I don't want to crack this up, just to nice for that. Got my parts today. Mounted the rear retrack and put the aileron servo in the right wing. liked to never got that retrack in had to take hold tail off to get it. will try to do the rest tomorrow. 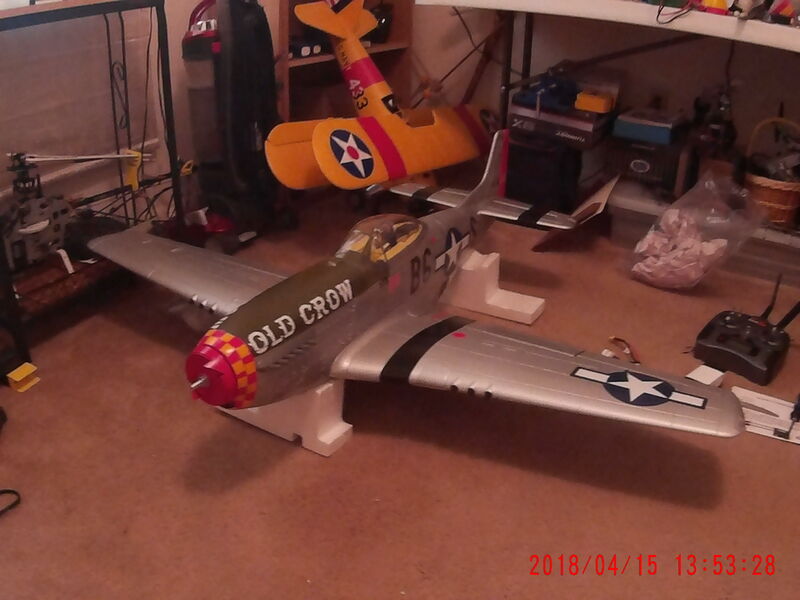 You guy's got me hooked on MotionRC since the first time I saw your post for the P-51. I watch the videos more than TV, I wish I could still fly things like that cause there is no doubt what I'd be flying. It just blows my mind checking out these airplanes with their detail and the way they are built almost ready to fly for less than $500.00. They aren't half assed for sure, the landing gears with the functioning struts and lights just really well designed and built. I'm looking forward to any pictures and videos you post Murry. Thanks Bigal1951. Those videos are what got me to. I watch them all the time. I have one more thing to do and that is getting the CG right. The way it is right now it is real nose heavy. But I will get it right. so where is the flight Video?